Stories are the bedrock of human communication from the cave art of our ancestors to the great works of literature today. It is an obvious point, but storytelling is how information has been passed from generation to generation since the beginning of time. Just about everyone loves a good story. We spend billions of dollars and countless hours watching movies, TV dramas, and documentaries produced by the best storytellers in the world. Stories capture our attention, draw us in, and stay with us long after we’re done watching. The act of constructing and listening to stories produces an emotional response, which ultimately facilitates connections, empathy and trust between people. In this way – stories are an extraordinarily powerful medium for brands to engage with and inspire loyalty in their customers. All of us are visual creatures. 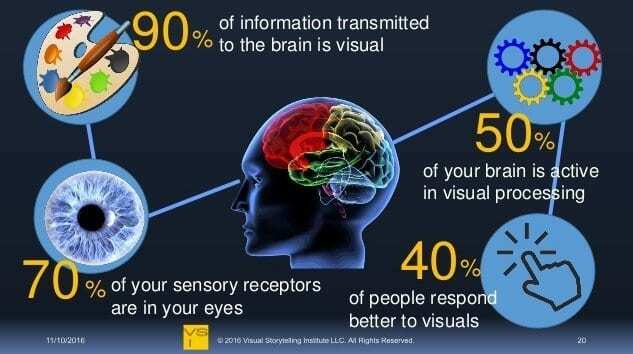 Ninety percent of the information transmitted to the brain is visual, so it’s not surprising that visual storytelling catches your audience’s attention. Numerous studies have shown that our brains retain and transmit much more information and process it more quickly, when it’s delivered visually. The power of video is in its ability to tell a story quickly, and in a way no other type of content can. How the human brain reacts to visual stimuli has been studied time and time again over the years, and one theme is ever-present in the results of those scientific inquiries: we react quicker and recall more when we are given visual information. Video is a powerful tool. 50% of your brain is involved in visual processing. And 70% of all your sensory receptors are in your eyes. If you heard me explaining something today, within three days you would most likely only remember about 10% of what you heard. But if I showed you a relevant image when I was explaining the same information, you’d retain at least 65% of the information three days later. That’s because our brains are more equipped to process images than to process words. In fact, the part of our brain that handles words is smaller than the one that focuses on image processing, according to psychologist Haig Kouyoumdjian. While telling almost any story involves words, characters and structure, making a video involves another, very important aspect of storytelling: visual language. Visual language refers to how imagery is used to convey story ideas or meanings. Perspective, color, and shape can all be used to support a story by guiding the audience to see and feel certain things. Making a video also requires an understanding of the principles and terminology of cinematography, like camera angles, editing, composition, and movement of the camera and characters. This is also known as Visual Grammar, and like actual spoken grammar, it is a language used to tell stories in a visual way. Each frame shot is considered and crafted using this language. Video is no longer considered to be a passing fad, or a novel presentation. Instead, it has become a powerful way to form relationships with your audience through emotional connection. That’s because video is a medium that we are hardwired to respond to. In addition to being visually stimulating, video elicits an emotional response from the viewer—thanks to the scientific phenomenon of emotional contagion. 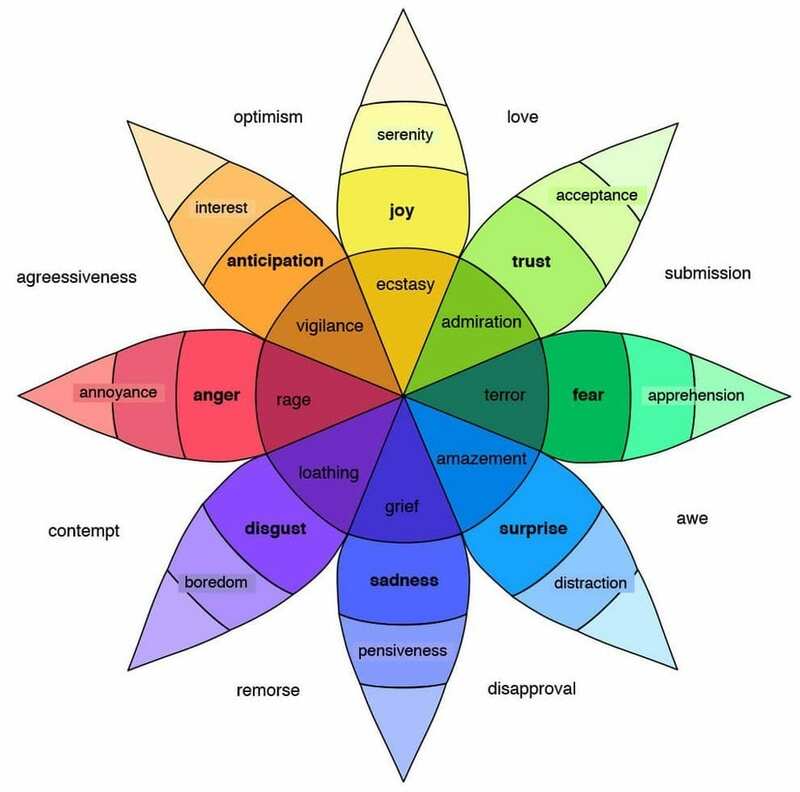 When your audience views a video, or watches a story, their emotions actually start to mirror what’s on screen. Compelling and captivating visual content that is able to evoke emotions results in deeper engagement with the audience and drives prospective consumers to a decision – buying a product or service. Compelling visual stories exude authenticity and personality, embrace real life, and convey your message from a humanistic standpoint. They drive deeper engagement by evoking key emotions – love, sadness, laughter, trust, admiration – instilling connection and openness within the viewer. A few well-written paragraphs can sway opinions, but a well-told visual story can move mountains. Videos have been shown to be more compelling than any other medium, because it implements a more authentic interaction, and viewers in turn are more open to what the speaker on screen has to say. We instinctively know that visuals are more powerful than purely text-based content. Video satisfies our physical need for visual stimuli while allowing us to connect more deeply with the subject matter. Yes, we can craft compelling stories with just words and our readers’ imaginations, but adding visuals will help us bring our words to life. Really great videos always start with a clever concept. Stories should always have a setting and a plot – sure – but mostly we remember great characters. Seinfeld was said to be a sitcom about nothing, but the characters stole the show. So make sure you use the people in your marketing videos wisely. You can personify the brand. You can also personify your customers and make their frustrations come to life. One of the main lessons in marketing is that it’s never about you, it’s about what you do for others. This customer-focused approach is key to visual marketing success. Body language and verbal tone also play a huge role in conveying a message. Text content relies on precise word choices, and punctuation to establish the right tone. However, with video, viewers are able to determine exactly what the people on screen are trying to get across by observing body language, verbal tone and other visual cues. The simple fact that the speaker is actually visible makes the video all the more credible and effective. Today’s consumers are hyper-aware of being marketed to, and commonly suffer from advertising fatigue. As a result, many have come to trust their peers more than “ads”, and that’s just another reason why visual storytelling using authentic characters has caught on in a big way. Sometimes, when working with clients who have less experience with videos, their tendency is generally to want to use the video to say as much as they possibly can about their business. They often don’t realize how quickly a viewer will switch off from being bombarded with information that isn’t necessary for them to hear. Storytelling is a fantastic solution to this problem. It is not only an interesting way to get a lot of information across; it is also a lot more concise. It can bring out an emotional response more easily than a more practical explanation. Ultimately, the power of video is in its ability to tell a story in a way no other type of content can. It can humanize a brand and establish a connection with the viewer. Videos that can tell an engaging story are much more likely to be shared, liked, and commented on. They are also more likely to go viral and they will be remembered. 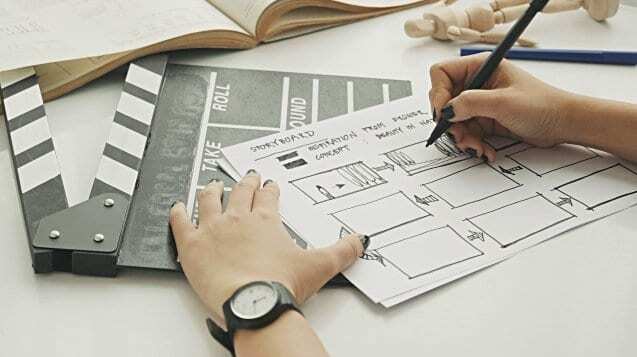 The power of visual storytelling in video has undoubtedly contributed to the rapid rise of video in content marketing. Today, video is widely recognized as one of the top two most effective content types in content marketing for both B2B and B2C markets. For some niche markets, like Manufacturing, it is already the preferred content type for attracting, engaging, and converting prospects. See this post on “Key Video Marketing Statistics to help Marketing Managers shape their 2019 Content Strategy”. If you’re looking to tell your company’s or product’s story on video, contact us. And let’s bring your story to life! Aka “Spielberg of the North”, Ivan has won numerous Canadian and International awards for video production. 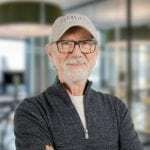 With over 40 years in the industry, Ivan can quickly connect the dots between initial video concepts and final video product.